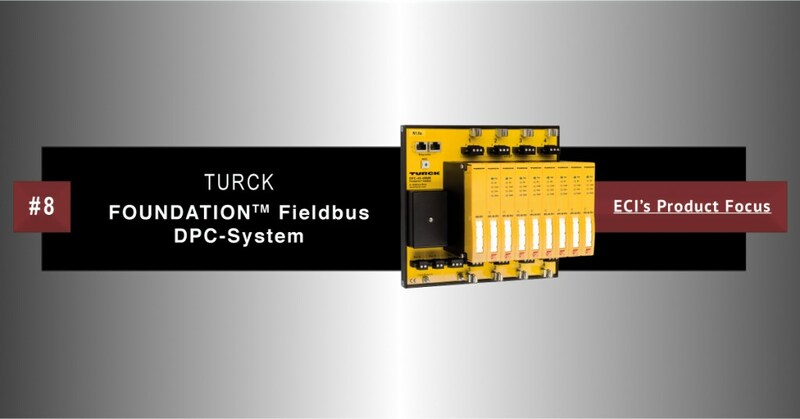 Turck FOUNDATION™ Fieldbus DPC-System - Eastern Controls, Inc.
Turck, a global leader in industrial automation technology, offers efficient solutions for factory and process automation applications across a wide range of industries. Turck’s products and automation solutions increase the availability and efficiency of your systems. What is Turck’s DPC-System (Diagnostic Power Conditioner System)? Turck’s DPC-System is a power supply system for the installation of FOUNDATION™ Fieldbus H1 segments. It provides comprehensive diagnostic functions for monitoring FOUNDATION Fieldbus segments and supports asset management for the entire system, including asset management of the physical layer, which is extremely valuable. A DPC system consists of one or more module racks (DPC-49-MB-RC), each with up to eight isolated power supply modules (DPC-49-IPS), and one advanced diagnostic unit (DPC-49-ADU). Up to four H1 segments for each module rack can be operated and monitored redundantly. The diagnostic data from the H1 segments is transmitted via the HSE field device (DPC-49-HSEFD/24VDC) to the higher-level asset management system. If you would like more information on Turck’s Foundation Fieldbus DPC-System, please fill out our contact form and a representative will reach out to you within 24 business hours.